Sooooo, it appears as if someone's been reading my blog. 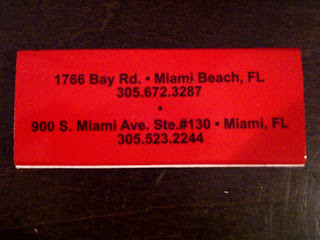 Not only have the matchbooks been fixed so that Miami Beach, FL and not South Beach, FL is denoted as the address for the original B&B over near Purdy Lounge, but they've also changed the menu so that the erroneous listing of "kobe" beef as a burger choice, a common one among American restaurants, has been corrected to say "wagyu." That was a long sentence. Wow. Well, obviously, any time you have a question that relates to how the USDA designates grades of beef, you go to www.beefgrading.org. Moo, I mean, duh. Prime is the best because it's the most tender steak. It has the highest amount of marbeling (Kobe beef is the most extreme version of this delicious phenomenon, but it's not American. Lots of restaurants will lie to you when they tell you that they are serving it, by the way. True story.) and it is the youngest. These factors combine to create the most enjoyable eating experience. The last complaint, and it's more significant, is that if you order a regular burger, the waiters default to the more expensive "kobe" burgers. That is tacky and unethical. It happened to me and to a friend of mine who was sitting at another table and who was served by another waiter. This suggests it comes from the top. 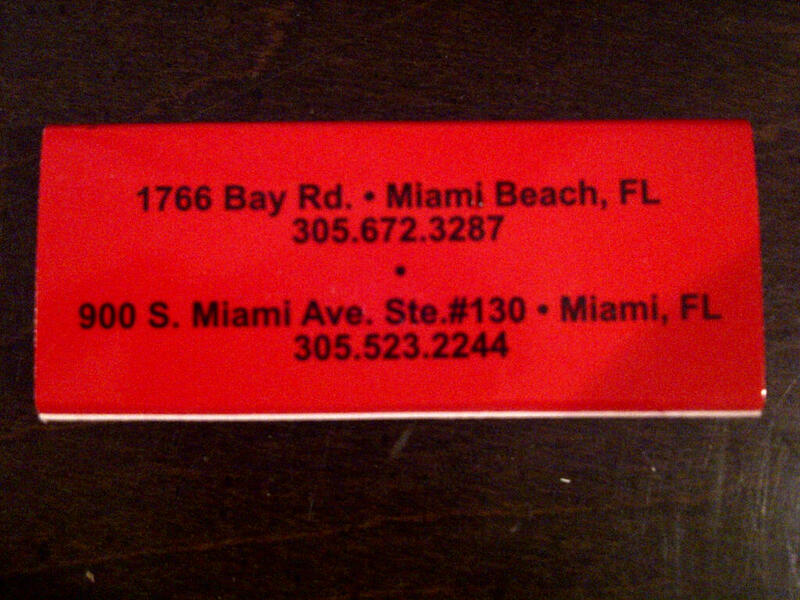 That leaves a sour taste in my mouth, even though other than that, the service was excellent and the food, delicious. But hey, that's why you read whiny online restaurant reviews. Let's stay on this automatic beef upgrade for one more paragraph. If there is a regular burger as the first option and a more expensive "kobe" burger (which of course is not actual kobe beef from Japan but rather high quality, fatty beef), and you order a burger, then which would you expect to receive? I can't see a scenario where I would expect the kobeburger. I was surprised when it arrived, since that's not what I had ordered. I did like the flair of the Japanese stamped into the bun, but I was still annoyed. Tacky. A few of us watched the Packers - Bears game at the Mary Brickell Village location on Sunday, and it was great. So packed that the kitchen was backed up, but after a long wait to be seated, the service was excellent. B&B is one of my favorite additions to the restaurant scene in Miami. We shared a Pig In a Bucket, a small bucket of perfectly cooked, thick-cut bacon, with maple syrup for dipping, of course. I announced that I felt like Homer Simpson when I dunked mine, but no one at the table got it. See how my heart it a-breaks when you a-no live here, Sean? I then ordered a half-pound burger and some sweet potato fries as a snack since I was going to have dinner with my parents an hour later. That sure hit the spot. Really thick wedges of sweet potato, crisp, but not blackened. So, so good. This place is solid. Burgers and beer do not go together as good as they sound. But I am liking their ambiance. Good place in all.